David Weinberg’s multi-national study focuses on the efforts by the Jews of France, Belgium, and the Netherlands to reconstruct their lives after the Second World War. 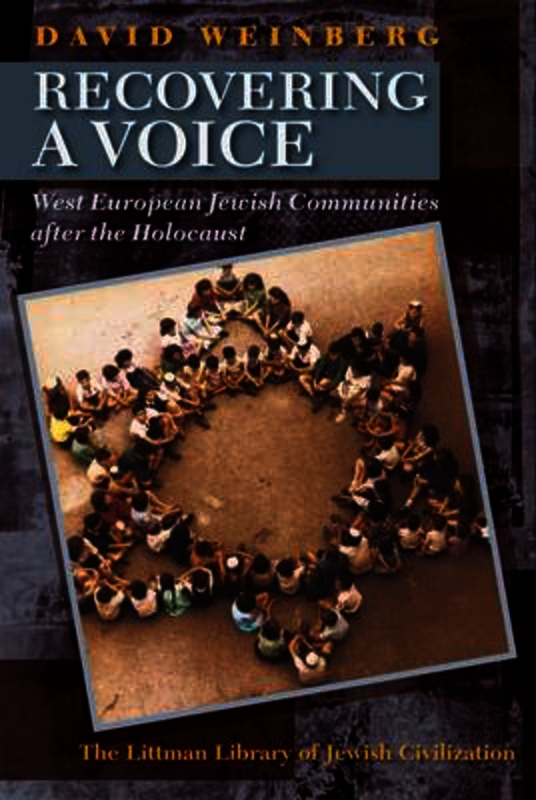 These efforts have largely been ignored, perhaps because the emphasis on assisting survivors in displaced persons camps in occupied Germany, Austria, and Italy and in developing Israel as the centre of the Jewish world after the Holocaust diverted attention from the struggle by Jews in western Europe to recover their voice and sense of purpose. Weinberg attempts to set the record straight, presenting the challenges that were faced both in the national context and in the world Jewish arena and examining how they were dealt with. Weinberg begins his study by reviewing the action taken to revive Jewish communities in the three countries materially and institutionally, remodelling them as efficient, self-sustaining, and assertive bodies that could meet new challenges. With the creation of the State of Israel, Jews who stayed in western Europe had to defend their decision to do so while nevertheless showing public support for the new nation. There was also a felt need to respond quickly and effectively to any sign of antisemitism. In addition, tensions arose between Jews and non-Jews concerning wartime collaboration in deportations, and the need to memorialize Jewish victims of Nazism. The Cold War offered challenges of its own: the perceived need to exclude communist elements from communal affairs was countered by a resistance to pressures from American Jewish leaders to sever links with Jews in eastern Europe. Yet beneath the show of assertiveness Jewish life was fragile, not only because of the physical depletion of the population and of its leadership but because the Holocaust had shaken religious beliefs and affiliations and had raised questions about the value of preserving ethnic and religious identity. At the same time, new forms of Jewish consciousness had evolved, meaning that Jewish leaders had to provide for diverse educational, religious, and cultural needs. This book's comprehensive approach offers a broad and valuable addition to existing studies on the regeneration of Jewish life in individual European countries. Underscoring the similar political, cultural, social, and economic issues facing Jewish survivors in France, Belgium, and the Netherlands after the Holocaust, David Weinberg demonstrates how, with the aid of international Jewish organizations, they used unprecedented means to meet unprecedented challenges. It is a story worth telling that adds much to our understanding of postwar European Jewish life. David Weinberg is Professor Emeritus at Bowling Green State University and Wayne State University. From 1993 through 2013, he served as Director of the Cohn-Haddow Center for Judaic Studies and Professor of History at Wayne State University in Detroit. He has been a visiting professor in modern Jewish history at the University of Michigan, the University of Wisconsin, the University of Pennsylvania, the Institute for Contemporary Jewry at the Hebrew University, and the University of New South Wales in Sydney, Australia.